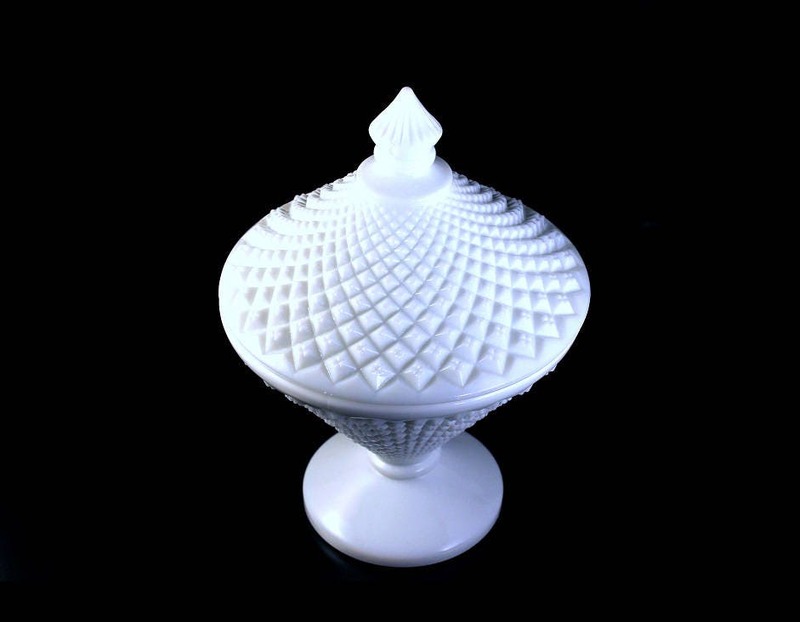 A gorgeous milk glass candy dish by Westmoreland. 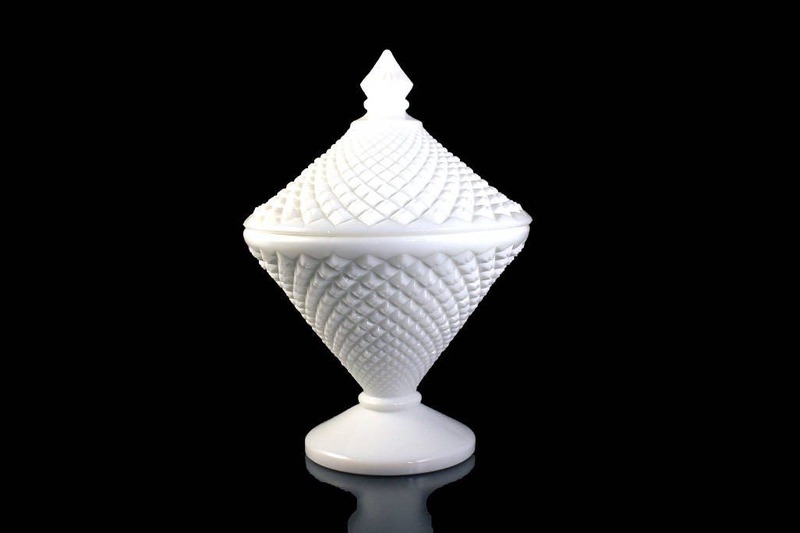 The pattern is called English Hobnail. 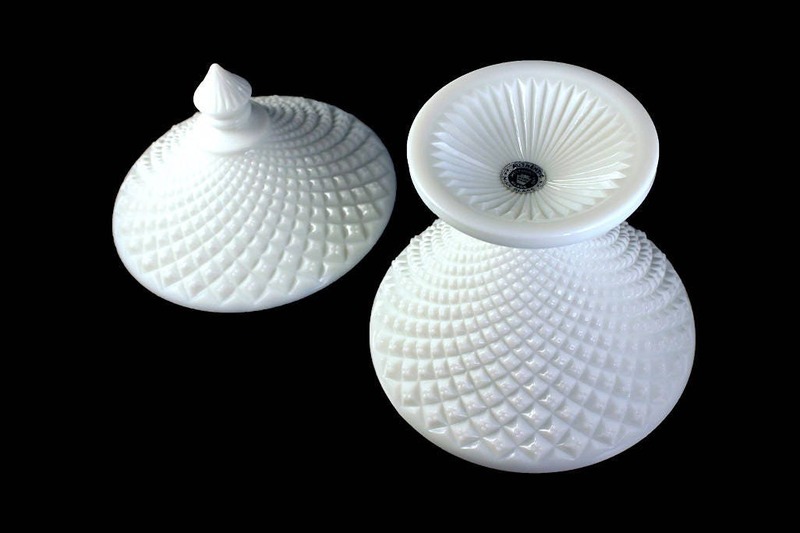 The pattern of hobnails covers the entire dish and lid. 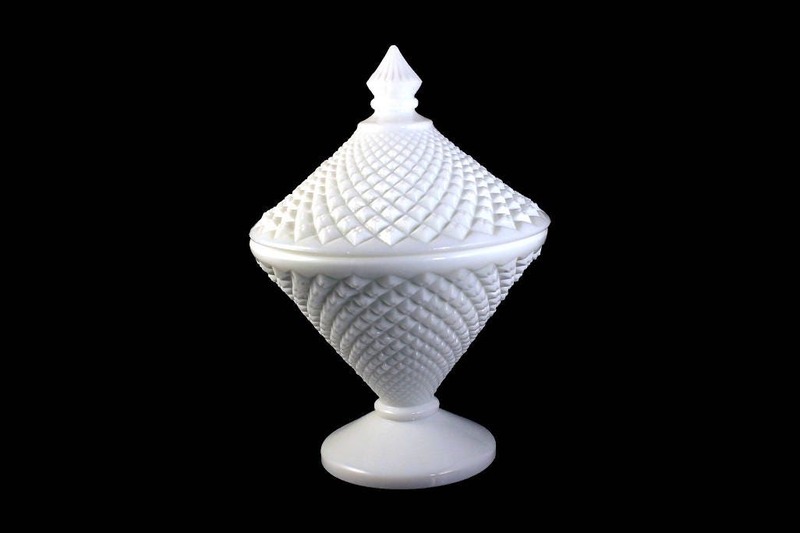 The dish stands on a round pedestal. 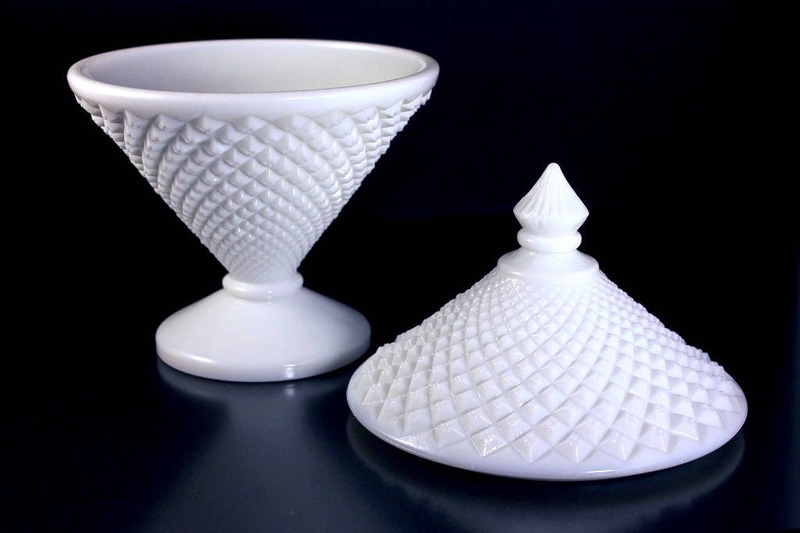 Due to their high level of craftsmanship Westmoreland milk glass pieces are considered some of the finest examples. 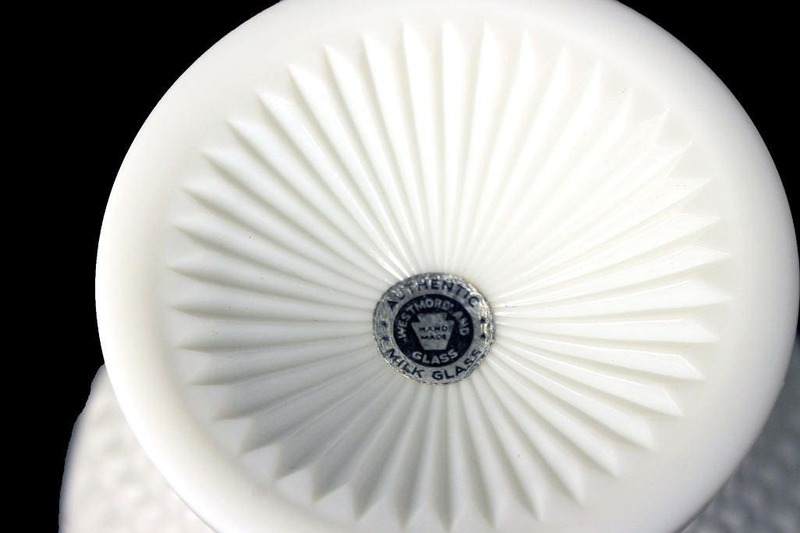 The Westmoreland Glass Company was founded in 1889 in Grapeville, Pennsylvania. George West served as president of the company while his brother Charles West was the Vice President. In 1921, George West left the company and started his own glass company, George West and Sons. The company went out of business in 1984. This would make a great addition to a collection and a wonderful gift for a collector. 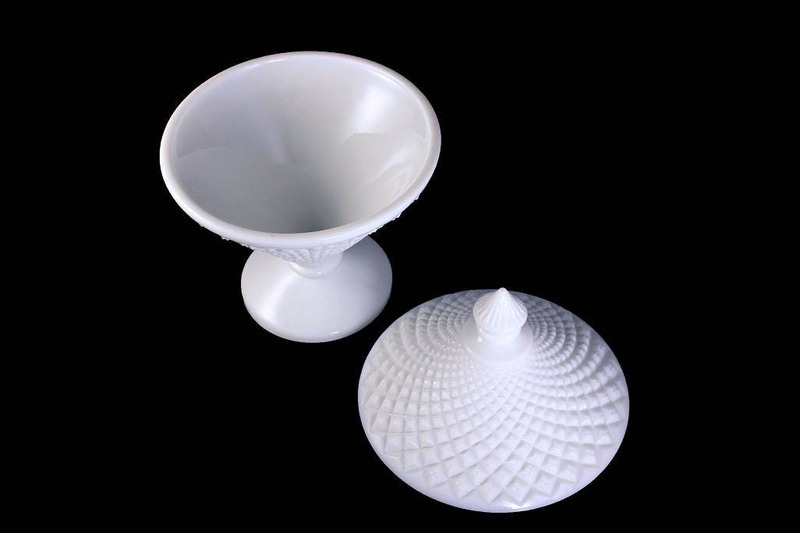 Milk Glass makes a fantastic wedding gift. Also a perfect gift for holidays and special occasions. This candy dish is in very good condition. There are no cracks but there is a small chip on the lid's handle. It is very hard to see.